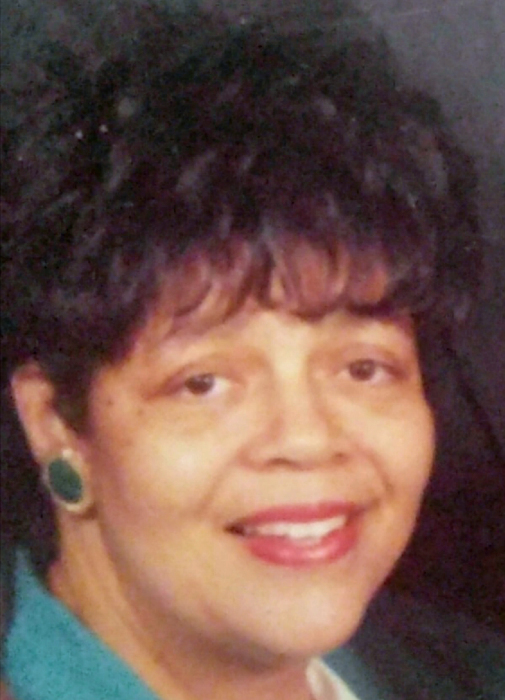 Harriet Renee (Hannon) Williamson departed this world, and into the loving arms of Jesus, on Sunday, December 2nd, 2018 both in peace and with family in her home in Durham, North Carolina. Harriet was born on October 6, 1951 in Tryon, North Carolina to Noble Jerome Hannon and Amie Louise Hayes Hannon (both previously deceased). Soon after her birth the family would welcome a son, William Henry Hannon, move to Wilkesboro, North Carolina, and then finally to Belmont, North Carolina- which is where Harriet spent much of her childhood. As a young lady, she joined the Girl Scouts of America. As she grew older, Music became her calling - playing the clarinet at the all black Reid School (where her father Noble was the band director) and then, following integration, doing so for Belmont Senior High School where she graduated in 1969. Of note: As a high school junior (1968), Harriet traveled to Antibes, France where she read an educational speech in French to the city’s mayor. Following high school, she attended and graduated from the University of North Carolina at Chapel Hill, where she received a Bachelor of Arts in Speech Communication in 1973 and a Master of Education in Reading and Language Arts in 1981. Her memberships there included the Pep and Marching bands and the Black Student Movement. This was also where Harriet met the love of her life, Hubert Lee Williamson Jr., to whom she would marry in 1979. She spent her professional career as an Educator. Among her accomplishments, she received a State of North Carolina Teacher’s Certification in Reading and Language Arts as well as Speech Communication for grades K-12. Additionally, she served as a Graduate Research Assistant, Administrative Assistant, Learning Disabilities Specialist, and an English Instructor at Durham Technical Community College until 1989. In the following years, Harriet worked for the Chapel Hill/Carrboro City Schools before finally stepping away from the work place to become a stay at home mom to her two sons: Noble Adam Williamson and Samuel Isaiah Williamson. For the past twenty years, she was a humble servant of Mount Zion Christian Church. With pride, she devoted countless hours to working with the Little Angels of God Youth Choir, creating a church newsletter, and writing hundreds of poems which she wrote from topics that God placed on her heart. She remained a member of Mount Zion until the Lord called her home with open arms. Harriet is survived by her husband of 39 years, Hubert, sons Adam and Samuel; her brother William, his wife Audrey Counts Hannon, and their children, William Hannon Jr., Ronald Anthony Hannon (Tiger), Stephanie Louise Hannon; her niece, Coley Mathis Jr.; and a host of other aunts, nieces, nephews, and cousins.